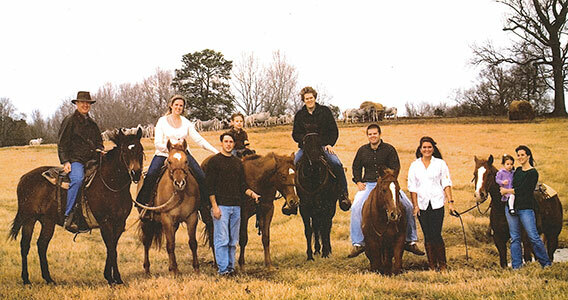 Bonchasse Land & Cattle Co., LLC (“Bonchasse”) was an idea long before its inception. 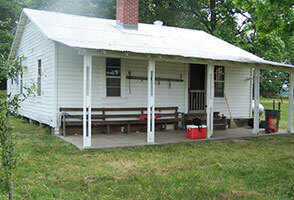 The Coleman family had been involved in farming and cattle ranching for many generations. The 1996 land purchase that would become Bonchasse was Linc Coleman’s opportunity to honor his family’s heritage. The original tract of land contains a small bayou that originates on the property called Bonchasse Bayou. Bonchasse derives its meaning from French words—bon and chasse—which mean “good hunt.” It was on this prime piece of land in Grand Cane, Louisiana that Coleman and Bonchasse would emerge as one of the premier Brahman and F-1 breeders in the state and gulf coast region. The Coleman family raised Registered Angus, and his wife’s family had one of the top Hereford operations in the state. As a result, Coleman was significantly influenced by outstanding beef cattle genetics. When it was time to put his herd together, Coleman looked for genetics that would better adapt to the southern climate. He chose the Brahman breed. Brahman’s also provide a superior cross with other breeds to produce excellent females for the beef industry. The operation’s scope remains focused on excellence in beef cattle production and good land stewardship. 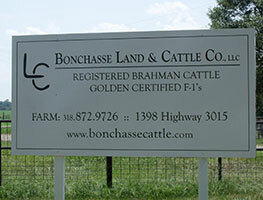 Bonchasse has continued to grow and now operates one of Louisiana’s largest Brahman herds. Bonchasse is committed to innovative ideas while continuing to maintain the strong values it has always upheld. These values and commitment to excellence are evident in the Registered Brahman and Golden Certified F-1 Braford, the “Queen of Cow Country” females that consistently perform in the pasture and set the mark in sales. It is no surprise that Bonchasse has won numerous local, state, and national awards. Bonchasse also raises registered Quarter Horses for use on the ranch. We carefully select genetics from some of the industry’s top ranch and cutting sires, which excel on the ranch and in the show arena.